Joseph’s Remodeling Solutions’ green home remodeling projects include insulating homes with high efficiency insulation, installing new energy efficient windows, appliances and HVAC systems, and designing and building drainage systems and rain water collection systems. We are also experts at improving indoor air quality. We use low or no VOC paint and primers, we install whole house dehumidifiers and ERV’s, and we make sure dryer, kitchen, and bathroom vent fans are adequately venting these moisture rich areas to the outside. Adding a touch of “green” to your home remodeling project will increase energy efficiency, comfort, and sustainability in your home. Beyond the green services we provide, Joseph’s Remodeling Solutions continuously works to keep our jobsites green as well. Our Recycling Coordinator monitors recycling containers at each jobsite and takes them to local recycling centers as needed. Materials such as antique lumber salvaged from remodeling projects is saved and repurposed into custom details on other remodeling projects. Homes need to be inspected throughout their lifespan to ensure they are safe, sealed and secure. Joseph’s Remodeling Solutions offers thorough home inspections for existing clients and clients of future remodeling, rain water collection and drainage system projects. We also offer preferred client care including home maintenance consultations, and priority scheduling of emergency home repairs to our clients after projects are complete. We want our clients to know we are never “gone”, and they are never “forgotten”. 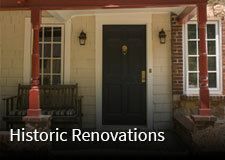 Joseph’s Remodeling Solutions believes in protecting our most valuable possessions – our families and homes. We offer alarm systems to our clients that not only protect families and homes from intruders with door, window, and motion detectors, but they are also wired to automatically alert emergency services if there is a fire. Rest easy at home or away with a security system you can trust. FEMA safe rooms may seem a stretch for a remodeling company, but after the devastating tornadoes of April, 2011, we decided knowledge of panic room construction a new industry requirement. Within 2 months of those storms, we had constructed our first FEMA certified safe room, and believe it is a welcome addition to families who feel unprotected against nature’s storms. Joseph’s Remodeling Solutions will work with you to meet your exact needs for layout and placement of your safe space. 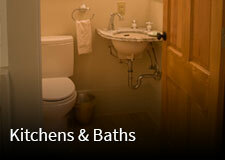 Joseph’s Remodeling Solutions has a designated plumbing team available for plumbing repairs and installation. We work with all types of pipe: copper, PVC, CPVC, and PEX. 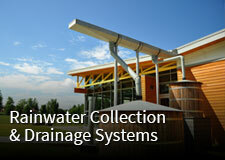 Our plumbing team designs supply and drain piping for maximum efficiency, safety, and longevity. In the case of major plumbing problems, we have the ability to repair walls, floors, or ceilings that are damaged in addition to repairing the pipes themselves. All work is done with ease of accessibility for future changes and repairs in mind. It has been said “the devil is in the details”. 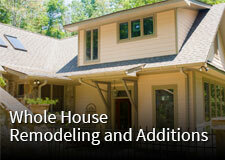 Joseph’s Remodeling Solutions believes the opposite to be true. Custom woodwork is more unique and longer lasting than off-the-shelf products. Our trim carpenters hand-pick and carefully store trim lumber to ensure your project will last for decades. We don’t use finger jointed or MDF trim, only solid wood. We can also restore woodwork damaged by fire, water, or age, and create new pieces that match other woodwork elements that are beyond repair. From porch columns, trim and railings, kitchen and bathroom cabinetry, newel posts and banisters, mantles, crown molding, baseboards, window trim and more, Joseph’s Remodeling Solutions creates beautiful woodworking details that stand the test of time. From our inception, Joseph’s Remodeling Solutions has been serious about painting. We use only the highest quality paint and stain available, and we follow strict guidelines for preparation and application of the products we use. Our in house painting team continuously researches new products to offer our clients the best options available for their projects. Our paint and stain finishes rival those you find on fine furniture, except our finishes seal and protect interior and exterior surfaces, and last longer with less maintenance. Josephs’ Remodeling Solutions’ dedication to high quality, long lasting painting projects has been proven again and again with consistently gorgeous results.